"All The News That's Fit To Chew"
I do what I do out of the love and passion that comes within my heart, taking time to visit people throughout San Diego, and even traveling 100's of miles, just to share my "Chopper Love" to those in need, ALL of which is volunteer my time and never ask to get paid for. In the past, my fans and supporters have sent donations to help cover "out of pocket" expenses, which is never expected or asked for.... but so much appreciated! You too can help me, make a difference, IF you would like to make a donation........ TOGETHER, we ALL can make a difference. 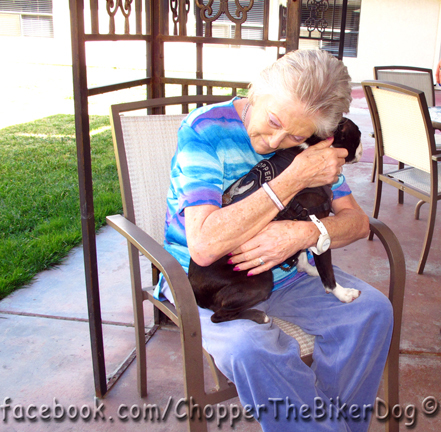 "Chopper Love" - Magical 'Therapy-Dog' Tour -- Part 1. 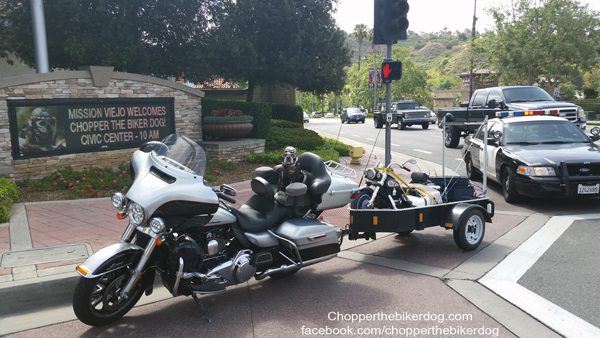 Stay tuned for the "Chopper Love & Appreciation Tour"
Photos above taken on "Chopper Love" - Magical 'Therapy-Dog' Tour -- Part 1. 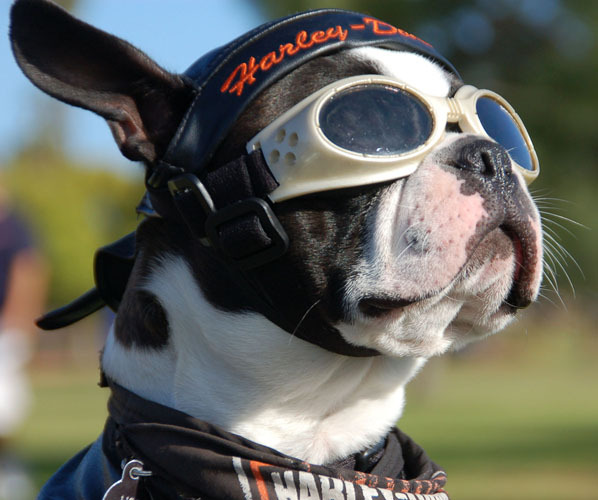 Meet Chopper: The New Biker Dog In Town! 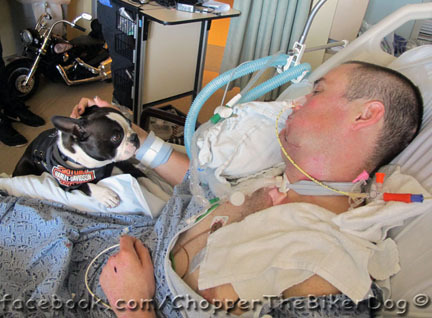 SAN DIEGO, CA - (2009) 11 months after the passing of Bandit, a new "biker dog" has found his way into the home and heart of owner Mark Shaffer. 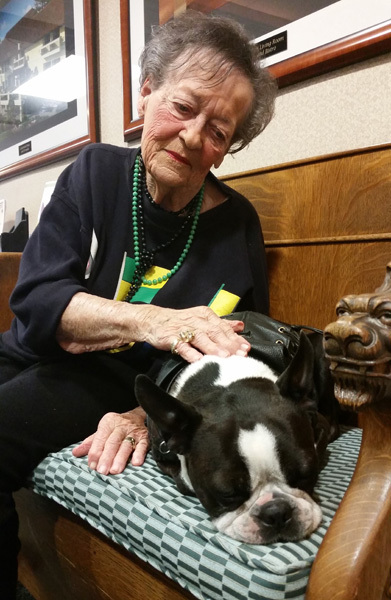 A little Boston Terrier was born August 3, 2009 in Santa Clarita, CA. Sixteen weeks later, The puppy and Mark were introduced. It was love at first site/meeting. 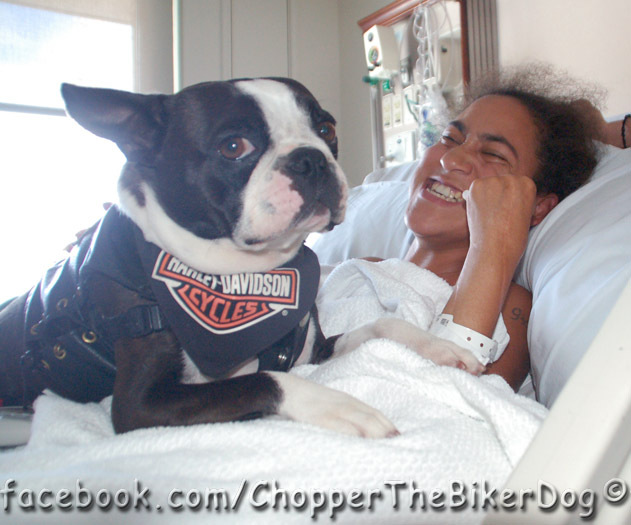 On November 8, 2009, the puppy (named "Dexter" at birth) was renamed "Chopper" by Mark and was brought to his new home in San Diego. 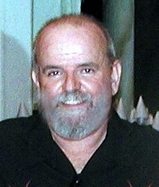 After just 4 weeks at home with Mark, Chopper was already riding on Mark's full size Harley Davidson in the custom made saddlebag, the same saddlebag where Bandit started his riding career. 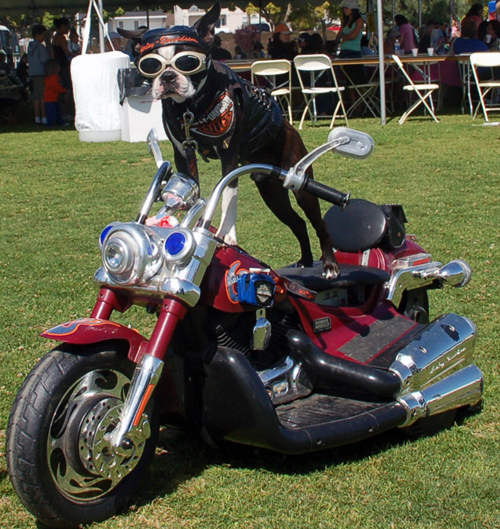 Chopper took to riding the Harley naturally and made his first appearance at the 2009 Toys for Tot's motorcycle ride. 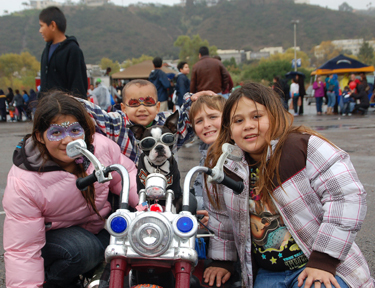 Shortly thereafter, Chopper appeared at the annual "Shop with a Cop" event, in which numerous police organizations come together and take over 250 "less fortunate" children shopping for Christmas gifts. Chopper has been invited to participate in upcoming events for the Armed Forces, YMCA and "The Nice Guys" organization in the San Diego area. 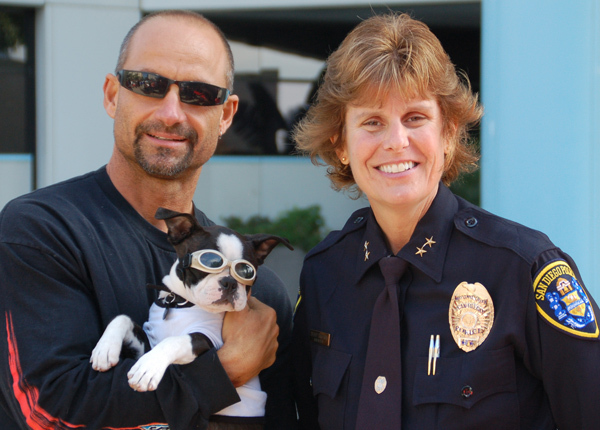 He has already been introduced to San Diego Mayor Jerry Sanders and his wife, Rana, as well as the San Diego Police Chief and his Assistant Chiefs, the Police Chief for the city of El Cajon CA, the Mayor of El Cajon, the National Little League Champions, and others. Needless to say, Chopper has established his credentials at an early age. 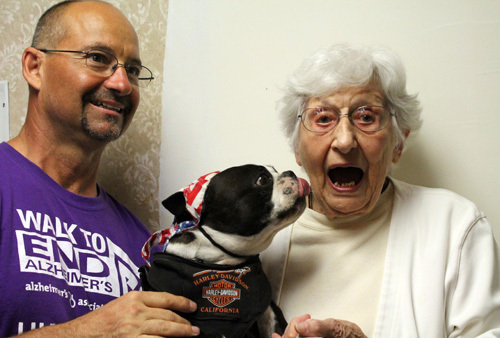 An enthusiastic Shaffer said, "I’m really looking forward to getting back out in the community now with Chopper, after being away for the past 11 months." 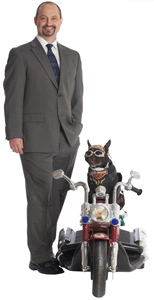 So look for Mark and Chopper the Biker Dog out in the community in the coming days, months and years to come. 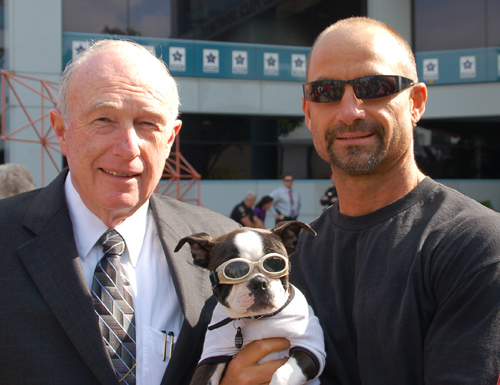 The torch has been passed, and the spirit of Bandit The Biker Dog lives on in Chopper. San Diego, CA - (2011) So Veteran’s day has come and gone, once again. To many, it meant a 3-day week-end mini-vacation. In warm weather states, that might mean a bar-b-queue with friends, followed Saturday by watching college football on the new 55” high definition TV you just treated yourself to. Sunday, it’s time to wash the car, go to church and then meet your friends at the local pub for a full slate of NFL games. The big question: Chicken Wings or the Pulled Pork sandwich? 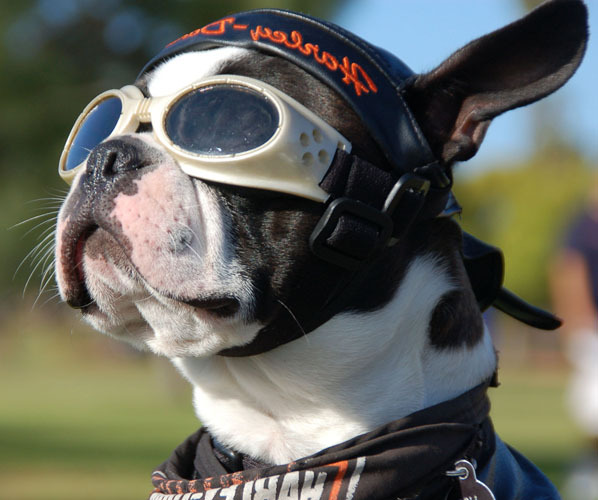 SAN DIEGO, CA - (2011) San Diego’s “Chopper The Biker Dog” has long established his support for the military. 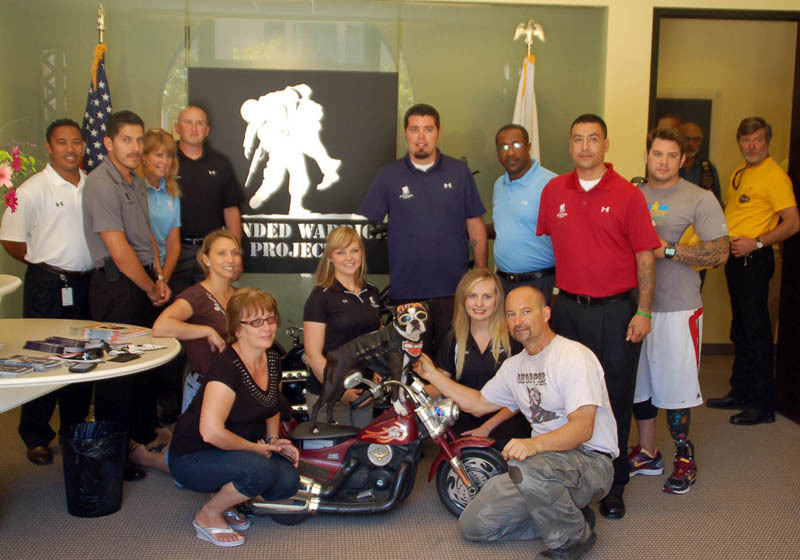 So when he became aware of the Wounded Warriors project he knew he just had to do what he could to show these heroes just how much he appreciated their efforts. 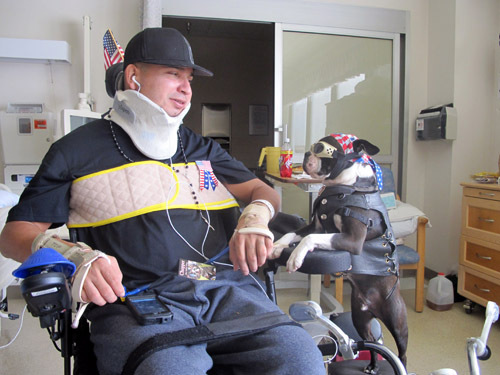 At the same time, Chopper wanted to help spread the word to the public about this worthwhile organization along with the size and scope of their efforts on behalf of these men and women who have given their all in service to their country… and now, because of their severe wounds suffered in combat, need our help in return. San Diego, CA - (2010) December 2010 turned out to be a memorable one for Chopper. 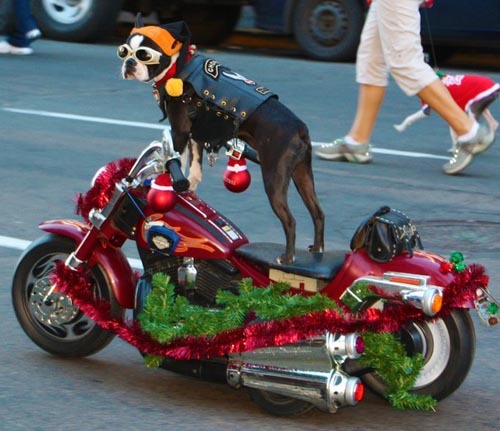 He was invited to ride in the Ocean Beach Parade on the 4th. He had a great time meeting folks there and the feeling must have been mutual because he won the “Best Individual” trophy at the event. 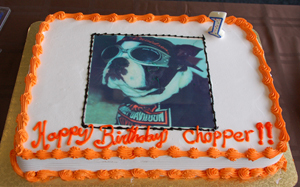 On Aug. 1, 2010,"Unleashed by PETCO" in San Diego hosts Chopper's 1st birthday party. 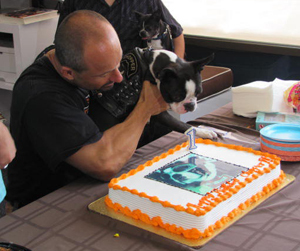 Chopper's K-9 friends, as well as human friends were there to help him celebrate.